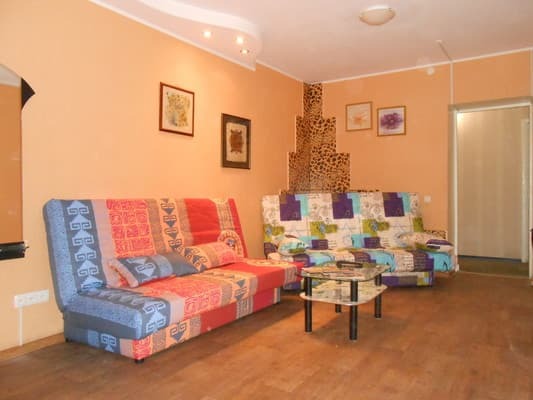 Hostel Hostel is located in the city of Kramatorsk, in an area with a convenient traffic junction. For living guests are equipped with cozy double and quadruple rooms with modern furniture. 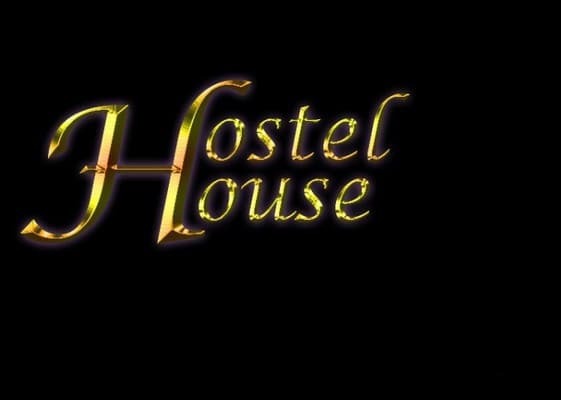 In addition to the rooms, the hostel has a common living room with comfortable sofas and a plasma TV with cable TV. There is also a kitchen with separate tables for 2-3 persons. The kitchen is equipped with a refrigerator, microwave, multivark, electric kettles, crockery, water filter, TV, DVD and video library. The distance to the nearest supermarket is 150 m, to the pizzeria - 20 m. A bathroom in the hostel is common, with 24-hour water supply. Guests have the opportunity to leave valuables in the safe at the reception. There is a parking place near the hostel. 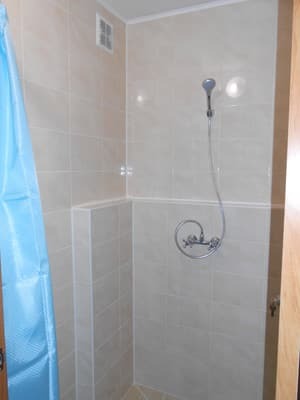 Hostel Hostel is located 1.5 km from the city center, 7.6 km from the railway station, 3.3 km from the bus station. Description of the room: Dormitory room with bunk beds. Description of the room: Private room with twin beds. At the disposal of living kitchen with separate tables for 2-3 places. The kitchen is equipped with a refrigerator, microwave, multivark, electric kettles, crockery, water filter, TV, DVD and video library. 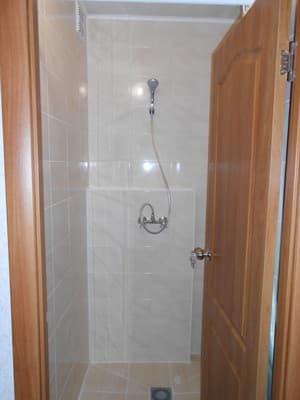 The distance to the nearest supermarket is 150 m, to the pizzeria - 20 m.
Hostel Hostel is located in the city of Kramatorsk, in an area with a convenient traffic junction. 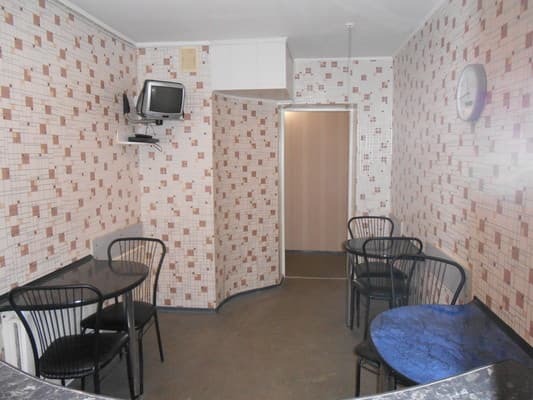 Hostel Hostel is located 1.5 km from the city center, 7.6 km from the railway station, 3.3 km from the bus station. You can get to the hostel on 21 bus routes, both from the railway station and from the bus station. Stop "Ria Pizza" (on Dvortsovaya street) entrance from the yard.